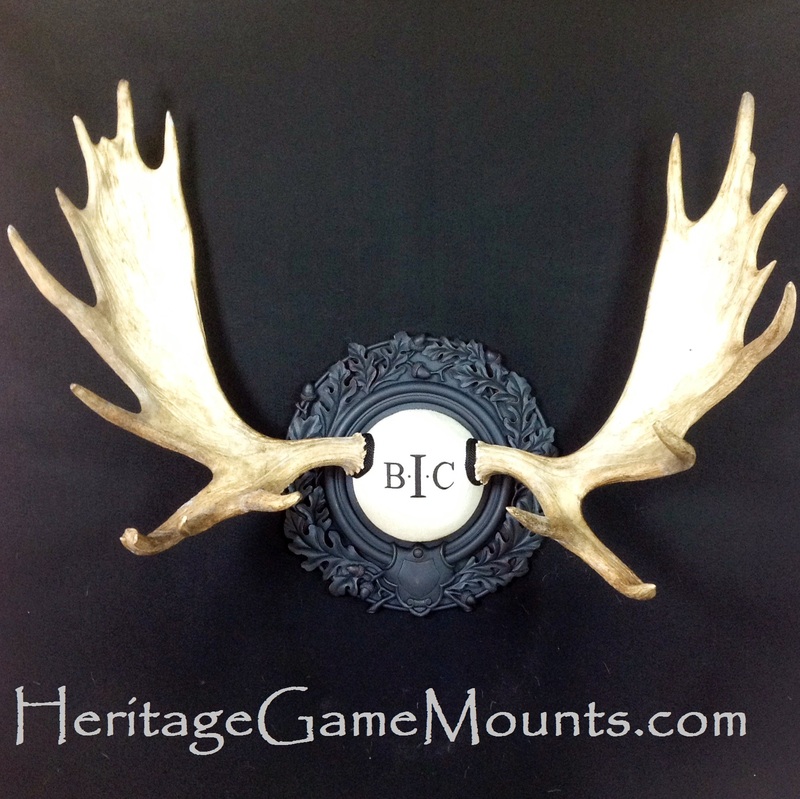 View cart “The Tradition European Antler Panel” has been added to your cart. 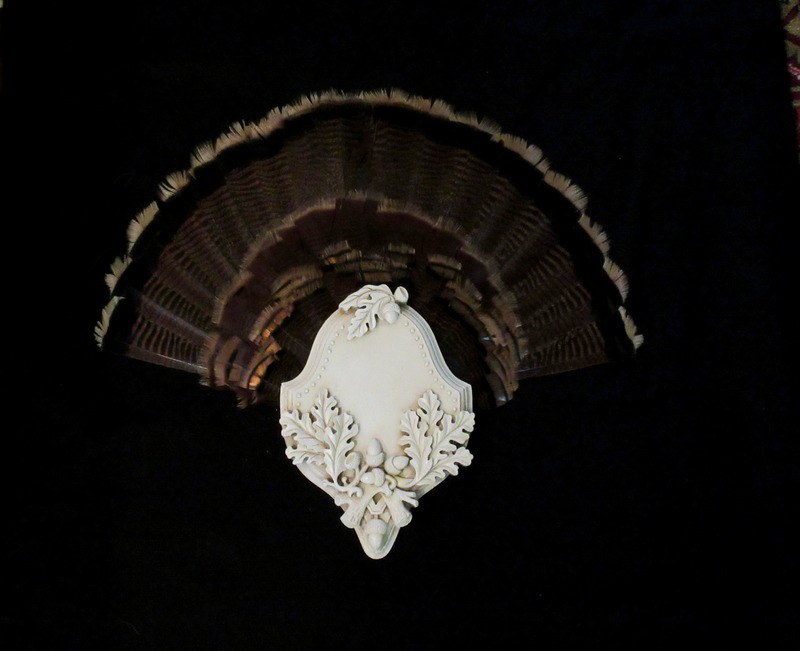 Introducing the Turkey Fan Panel with an elegant Old World feel. 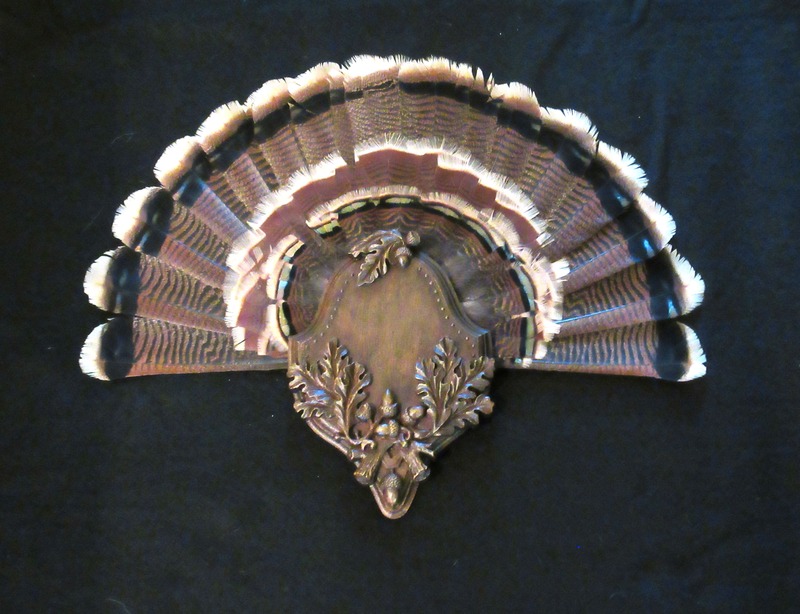 Hand crafted with Old World style and a nod to the old Swiss carvings known as Brienzerware, this oak leaf and acorn encrusted panel will set off your turkey fan with elegance! Comes with hardware to secure your fan to the panel and hang at the same time. 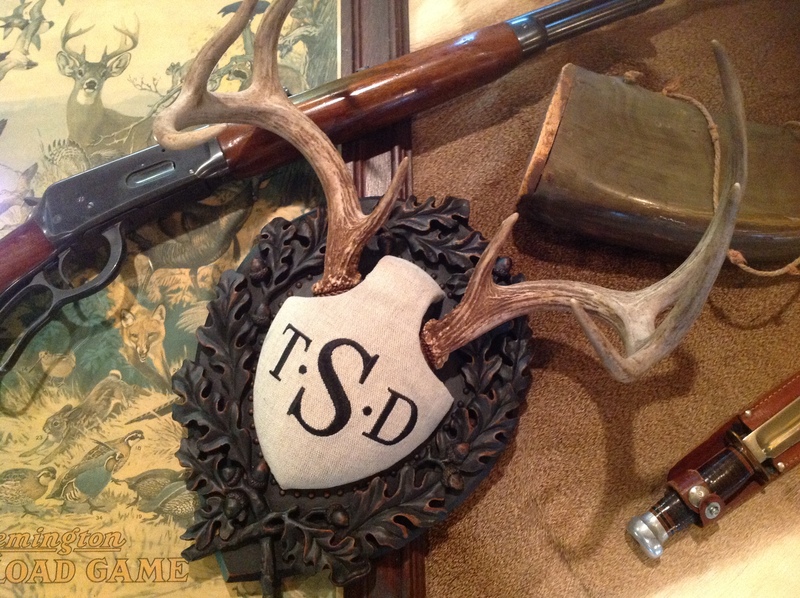 Also includes a 12 gauge shotgun shell with hardware to mount your turkey beard if you wish. Designed and made in the U.S.A. The overall dimensions are 11.5″ Tall by 8 1/4″ Wide. 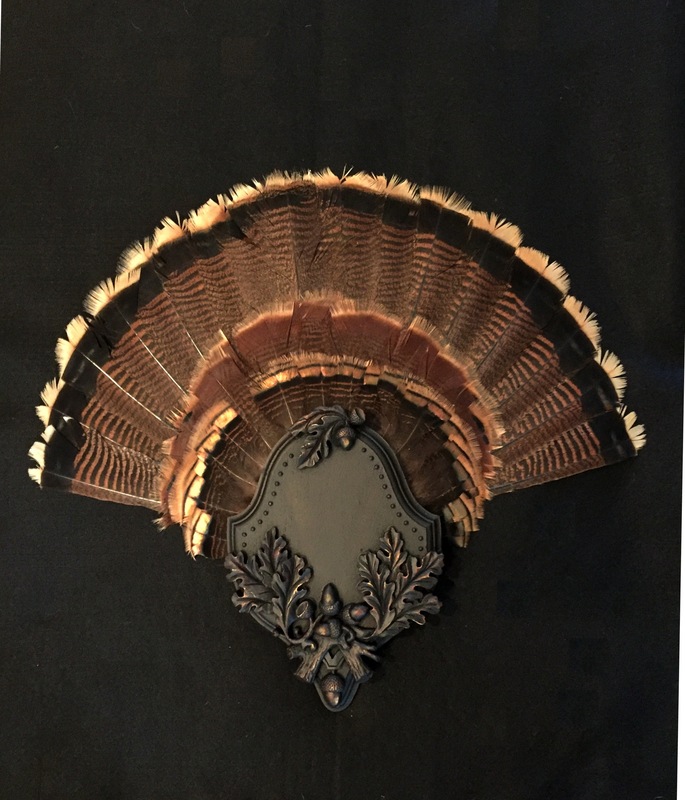 Easy to install you own fan, turkey feather tail not included. 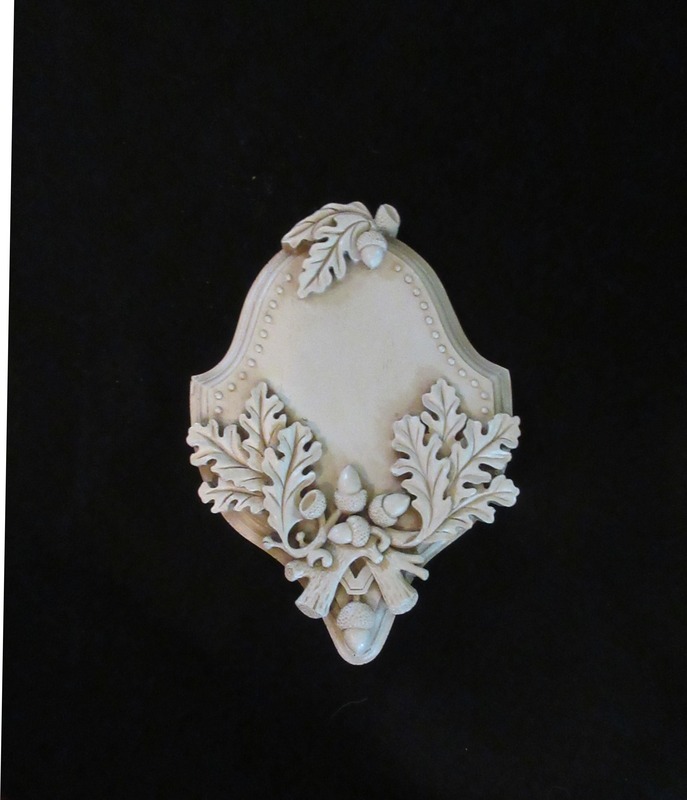 Available in Black Forest, Blackberry & Old World White finishes. 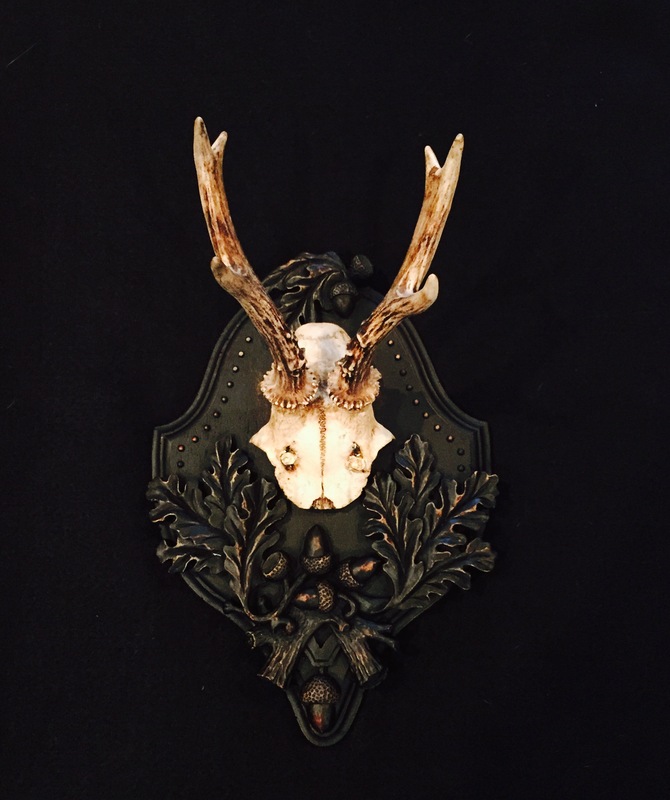 This panel is also excellent for mounting small exotics in the old english style partial skull mount. Visit our other images. You can order this panel without the hardware for $175.00. Please call with any questions. Be the first to review “Turkey Fan Panel” Click here to cancel reply.